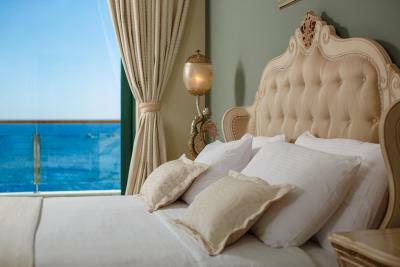 Lock in a great price for Royal Princess Hotel – rated 9.1 by recent guests! The room was spacious and very comfortable. The setting and scenery was spectacular! 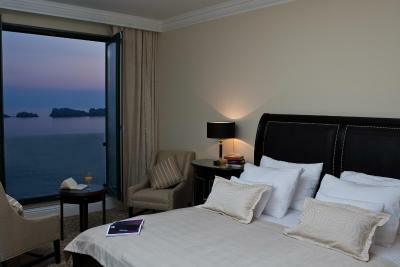 Excellent hotel with spacious comfortable rooms and stunning sea views, staff very helpful, very good breakfast choices. Would have appreciated a free shuttle to the Old City given the price of the resort. Also, restaurants would be better served if they offer a wider menu with good options for children and teens. We stayed in a suite. The room was large and had 2 bathrooms. Very comfortable beds!!! The staff goes above and beyond!! 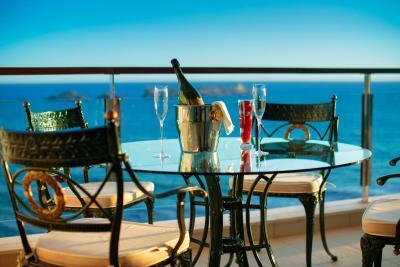 Exceptional and Best hotel at best location . 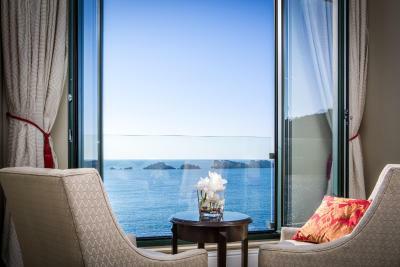 Room is absolutely amazing with breathtaking sundown and excellent sea views. The staff are unfailingly polite, efficient and friendly. Royal Princess Hotel This rating is a reflection of how the property compares to the industry standard when it comes to price, facilities and services available. It's based on a self-evaluation by the property. Use this rating to help choose your stay! 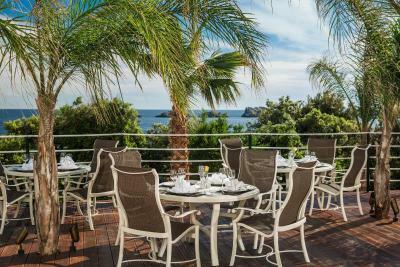 One of our top picks in Dubrovnik.Right next to the sea in Lapad and surrounded by pine forest, Royal Princess Hotel offers lovely sea views. 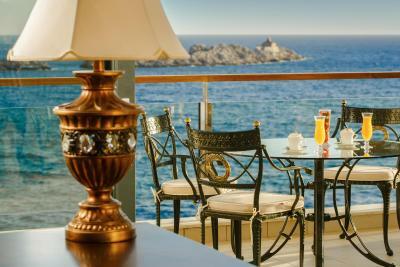 The property features a restaurant with a large terrace overlooking the Adriatic Sea. 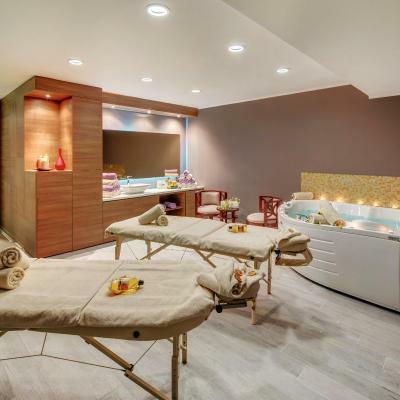 Massages, 2 pools, and a steam bath are at guests’ disposal. 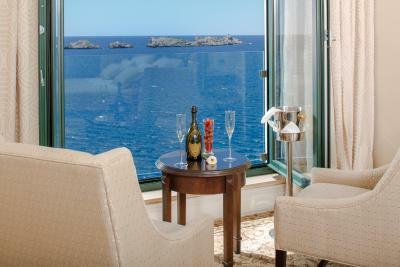 The luxuriously decorated air-conditioned suites include balconies, LCD satellite TVs and a coffee maker. 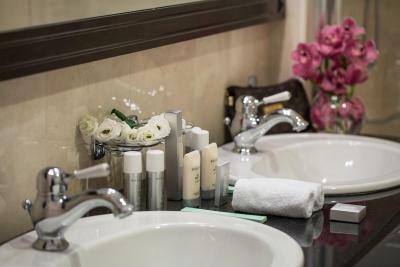 The private bathroom has a shower or bathtub and free toiletries. 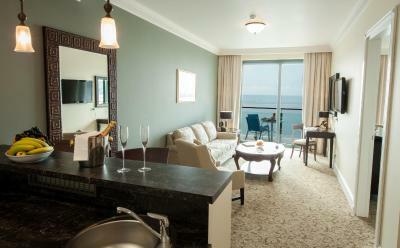 Free Wi-Fi access is provided in all rooms and public areas. 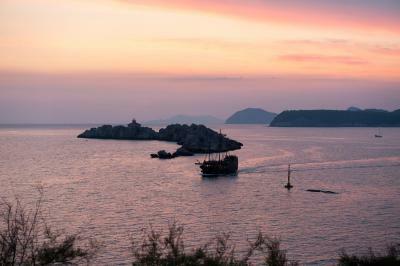 Dubrovnik’s Old Town with its famous landmarks is 3 miles from the Princess. Guests can enjoy a walk along the Stradun Promenade or take a ride in a cable car and admire panoramic views of the city. There is a local bus stop just outside the hotel and every 15 minutes a bus takes tourists to central Dubrovnik. 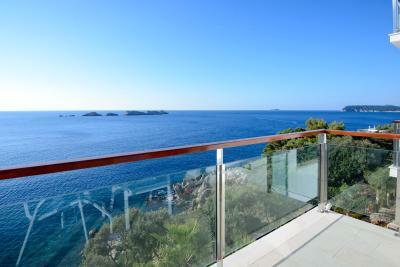 Dubrovnik Airport is 16 miles away and airport shuttles can be organized upon request. 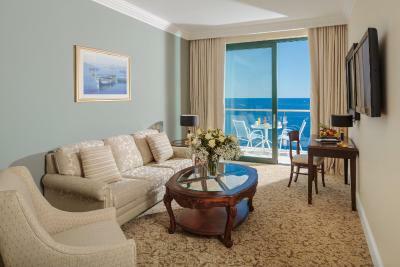 When would you like to stay at Royal Princess Hotel? Spacious and luxuriously furnished air-conditioned suite with 1 bedroom with king size bed and a sofa bed in the living room. 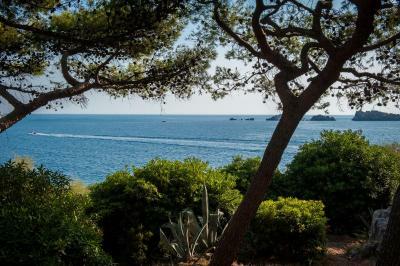 There are 2 bathrooms, 1 with a bathtub and 1 with a shower, and a balcony overlooking the Adriatic sea and islands. Spacious and luxuriously furnished air-conditioned suite with 1 bedroom with king size bed and a sofa bed in the living room. There are 2 bathrooms, 1 with a bathtub and 1 with a shower, and a balcony. 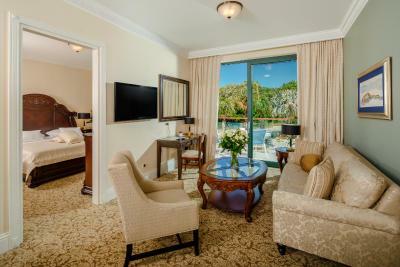 This spacious and luxuriously furnished suite features a private sauna room and a spacious living area equipped with traditionally crafted furniture. 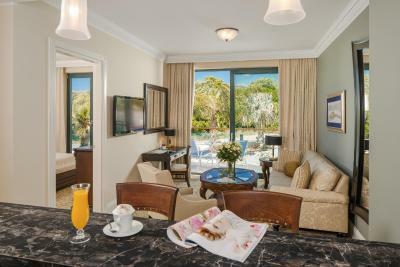 Along with numerous other modern amenities, guests can enjoy an LCD satellite TV, a coffee maker and a laptop safe. 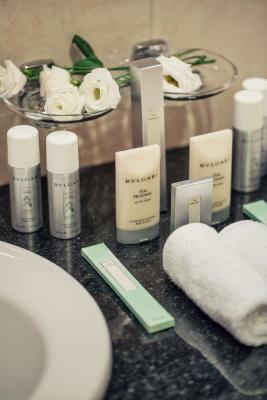 The bathroom includes a bathrobe, slippers and free toiletries, along with an additional toilet. 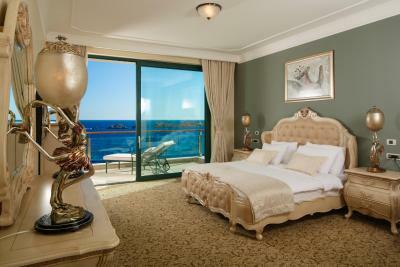 Spacious and luxuriously decorated room with a balcony overlooking the Adriatic sea and the islands. 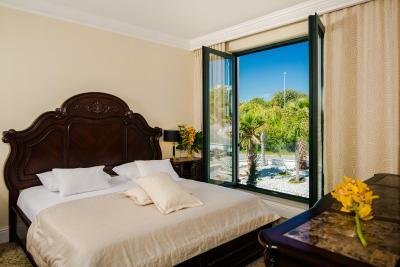 Offers air conditioning and a satellite LCD TV along with a work desk and a mini-bar. Bathroom with bathtub provides hairdryer, bathrobe and slippers. 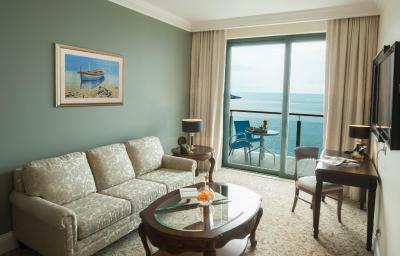 Spacious and luxuriously decorated room with a balcony. 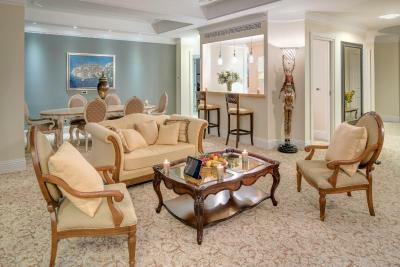 Offers air conditioning and a satellite LCD TV along with a work desk and a mini-bar. Bathroom with bathtub provides hairdryer, bathrobe and slippers. 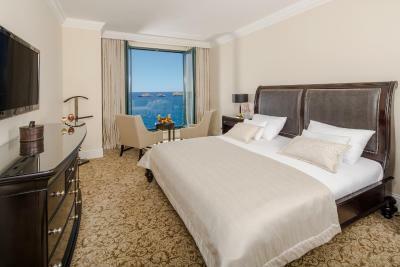 Steps away from the Adriatic Sea, the spacious and luxurious suites provide the most beautiful views of the sea and the reefs. 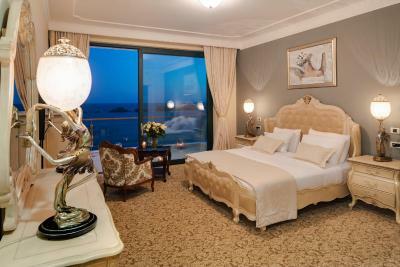 With its exceptional amenities, Royal Princess Hotel is a place where everybody will truly feel like royalty. 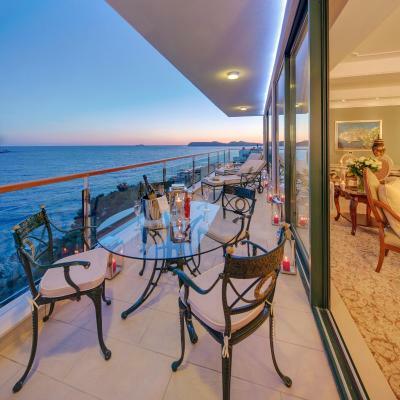 House Rules Royal Princess Hotel takes special requests – add in the next step! Royal Princess Hotel accepts these cards and reserves the right to temporarily hold an amount prior to arrival. Would have liked maybe pot/pan and some plates to give option of making light lunch some days. 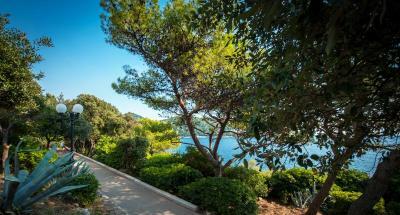 Fantastic views overlooking the adriatic... Just a nice short walk to restaurants & shops... Beds are amazingly comfy. Staff were so helpful & efficient.. Special mention to Tea in the restaurant, seriously efficient & so helpful. It was my daughters birthday during our stay and complimentary chocolates were delivered to the room for her.. Lovely touch & she was thrilled! Would definitely go back! The towel warmers not operative. The staff said that the boiling system not started yet. Breakfast was fantastic even Prosecco! Just about anything you could want including proper cappuccinos. Beds were amazing rooms spacious and spotless and quiet and most of all the views were incredible. It was so easy to get to the centre on the bus perfect city break. The beautiful sunsets from our room. 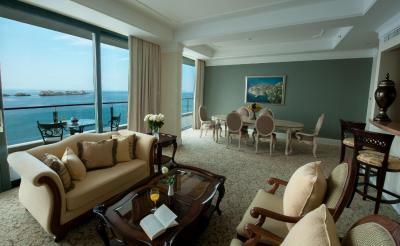 Suite with sea view was excellent - definitely worth paying the small supplement for the view. Choice of swimming pools (7?) was tremendous especially with an outdoor heated option. Food & drink at the 3 bars was reasonably priced for a 5* hotel. 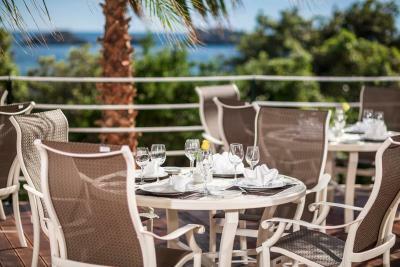 We went for B&B - thank goodness - breakfast on terrace overlooking sea was a great start to the day - breakfast choice excellent. Buses to old town every 10 minutes only a 5 minute walk from hotel. 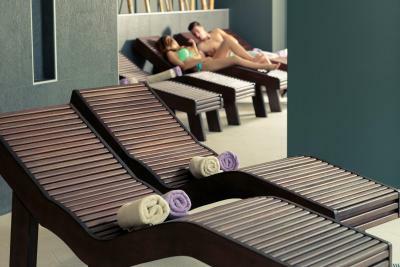 Nice and Tranquil, plenty of relaxation! Well treated by staff, even a welcome drink whilst we waited for our room when we arrived and we were early. Different restaurants, bars and pools to choose from if you don’t want to venture far. The hotel is not near any tourist attractions and we had to take public transportation everywhere. The staff at the restaurants were not service oriented as it took forever to get waited on and forever to get the bill at the end of the meal. I found the restaurant selection limited and would like to see some type of shop close by where you can pick up drinks for the room or other snacks. The staff is so accommodating, professional and understanding. Lovely, clean and nice restaurant within facilities. 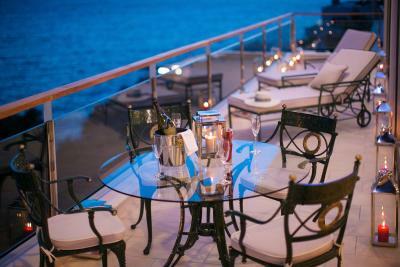 The location and walk to the beach is not long and have nice places for dinner. Highly recommended, planning to visit again soon. Beautiful swimming pools and lots of them. Very relaxing stay. It is difficult to fault the hotel. Just a minor comment - fyi - If you prefer an easy-to-walk-in shallow beach - you would need to walk for 15 min along the promenade to reach it. The beaches in front the hotel are all rocky/deep (but still beautiful!). 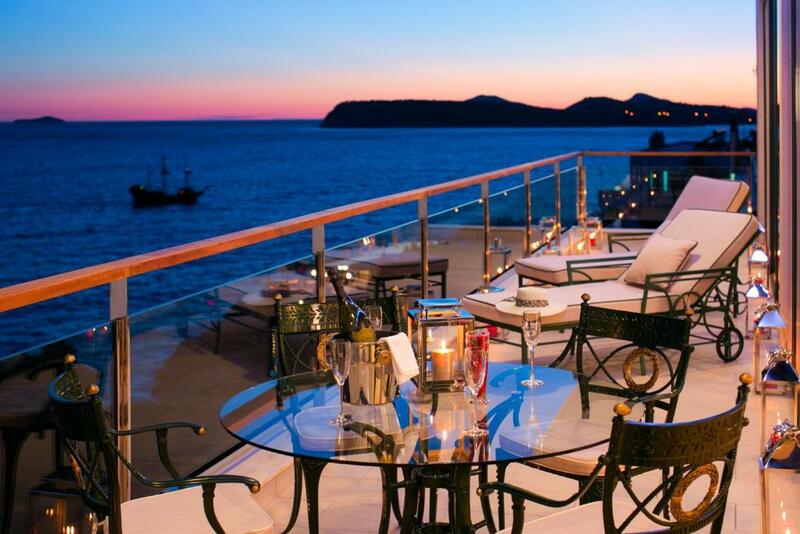 That has nothing to do with the hotel itself - the hotel was a truly outstanding! Everything about the hotel was excellent!!! Beautiful location, the city is also easy to reach by bus. 2 single beds pushed together to form a double- mattresses moved apart. Not even a matress topper to give impression of being a double bed.